Reserve and refrigerate 4 center egg slices for garnish, if desired. Chop remaining eggs. Serve on lettuce leaves, garnished with reserved egg slices. This recipe for egg salad can be layered with crunchy lettuce on whole wheat toast for a simple sandwich, or stuffed into cherry tomatoes for an impressive appetizer. 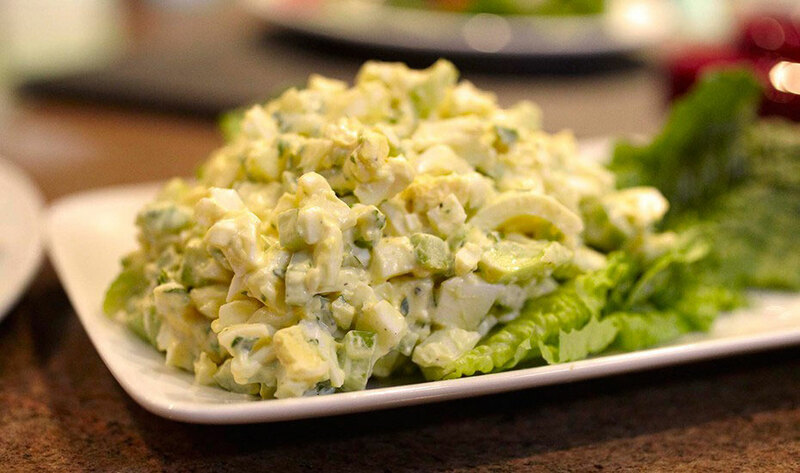 Our simple and easy egg salad recipe is a good choice for a satisfying meal!